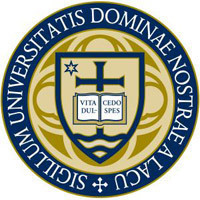 Undergraduate tuition at the University of Notre Dame will increase 3.8 percent for the 2014-15 academic year to $46,237. The rate of increase matches that of the previous three years, which was the lowest since 1960. With average room and board rates of $13,224, total student charges will be $59,461. In a letter to parents and guardians of students returning for the next academic year, Notre Dame’s president, Rev. John I. Jenkins, C.S.C., thanked them for their investment in Notre Dame and the sacrifices they make to pay for “an educational experience that is second to none.” Father Jenkins said the University is honored that parents and guardians have sent their sons and daughters to Notre Dame to learn, discover and grow in their academic, social, emotional and spiritual lives. Father Jenkins’ letter also addressed the current national conversation about the value of a college degree. There is a considerable financial value, he pointed out, because surveys show that college graduates earn throughout their careers on average $1 million more than people with just a high school degree. Notre Dame students in particular benefit immediately, earning entry salaries more than $10,000 greater than the national average. Originally published by Brendan O’Shaughnessy at news.nd.edu on February 18, 2014.